Our guide on starting a museum consulting business covers all the essential information to help you decide if this business is a good match for you. Learn about the day-to-day activities of a museum consulting business owner, the typical target market, growth potential, startup costs, legal considerations, and more! What happens during a typical day at a museum consulting business? As a museum consultant, your responsibilities will vary, depending upon the client, the project you are working on for them, and the timeline you have to work with. Additionally, you will have a number of administrative duties to tend to. When building your team, consider hiring someone to take over these tasks. Much like your duties, you will have a very diverse customer base. Their passion and support of art will be the commonality. 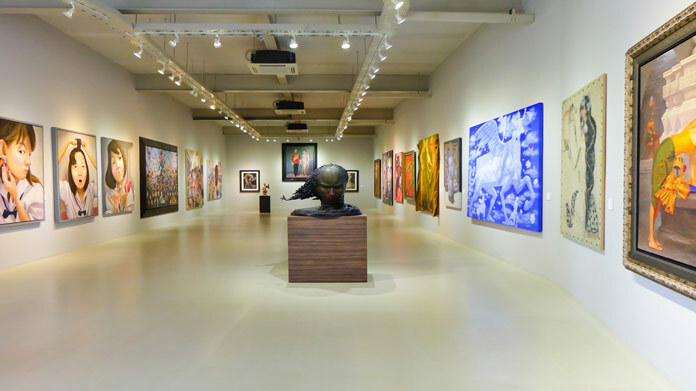 Your consulting firm will act as a resource for the global art community, including galleries, museums, auction houses, et al. How does a museum consulting business make money? Museum consulting firms make their money from the many services performed for their clients. What is the growth potential for a museum consulting business? Currently, the museum industry is experiencing a change in how to connect and engage with customers. Because of greater technological advancements, drawing customers to museums is becoming more difficult. Museums are also revamping their exhibitions in order to connect with a younger, more tech savvy, audience. Therefore, creative museum consultants are a hot commodity, especially ones with innovative ideas for a modern audience. What are some skills and experiences that will help you build a successful museum consulting business? To realize long-term growth and success for your firm, you must possess strong networking and interpersonal skills. This will serve both your consulting firm, as well as your customers, as you work to turn their vision into a reality. In many cases, you will serve as the project manager, so motivational and delegation skills would also prove beneficial. You should also be keenly aware of the trends in design and marketing for museums and art houses. Stay connected with a network of professionals and potential clients and look for opportunities to show your knowledge and skill set. The American Alliance of Museums offers a wealth of information to help navigate the intricacies of running a business and in keeping up with the latest trends. What are the costs involved in opening a museum consulting business? In this business, your greatest asset will be industry knowledge and contacts. Many consulting firms work out of small offices or from home initially. Startup costs are low to start, with overhead costs increasing as the business expands and the scope of the projects increases. What are the steps to start a museum consulting business? Form a legal entity. Establishing a legal business entity prevents you from being personally liable if your museum consulting business is sued. Open a business bank account. A dedicated checking account for your museum consulting business keeps your finances organized and makes your business appear more professional to your customers. What are some insider tips for jump starting a museum consulting business? Extensive experience in the museum industry or expertise in the art world will be beneficial. Cherish and protect your reputation; it is your calling card. Bid on smaller projects you can complete successfully, to start. You want to present successful work, in order to get larger jobs in the future. Be personable and professional with clients. Learn to listen to the client’s ideas and create complete plans which bring their ideas to life. Become involved with the community you’re working for. Show a true passion for the work and the art. The art and museum community is a close knit group. Most professionals in this industry will know and talk to others in the industry, so your reputation is critical. Establish your reputation through extensive networking, successful project completions, and customer referrals. Your best assets will become the positive words of others. It is also recommended that you get involved in the art community on a local level. It’s advisable to be aware of trends within the art and design communities. Be an innovator in your field, as well as an excellent listener and visionary. When a customer approaches you about re-designing their museum or adding a new exhibit, make sure you are respecting their wishes while adding your own flair. Join related museum groups and stay active within their social media circles and share the projects you have successfully completed. Network and connect with other museums, consultants, and art industry professionals. Much of your success will be based on your reputation and previous work. Your personal marketing and testimonials from prior clients will figure greatly in your overall success. Be personal and professional and listen to the desires of your customer(s). Developing a team for museum consulting will most likely be a slow process, at first. You will have to establish your business’ reputation and monthly workload to understand how much help you’ll need. Ideally, your team should also be well-versed in art, marketing, interior design, graphic design, and public relations. A good team member should be personable and enjoy meeting and networking with clients and peers. Certain state permits and licenses may be needed to open a museum consulting service. Learn more about licensing requirements in your state by visiting SBA’s reference to state licenses and permits. Consulting fees will vary, depending on the scope of work and length of time working. Fees can range anywhere from $200-$1000 per day. What are the ongoing expenses for a museum consulting business? Since much of your time will be spent meeting with clients, both physically and virtually, travel and technology will factor heavily into your monthly expenses. Monthly costs will fluctuate greatly, and range between $2,000 and $7,500. How much profit can a museum consulting business make? Depending on the number of clients your firm is currently consulting, monthly revenue will vary. Anywhere from $3,000 to upwards of $10,000 per project can be made in this profession. Factoring in related business expenses, an annual profit of $100,000 or more is attainable, once established and sought after. Make sure you do your research on the front end to determine if you have enough of an art community within (at least) your regional area to give you a start and sustain you. One of the best tools for increasing profits is to network and market your previous work and overall industry reputation. Many of your clients will come from other museums and art houses, who have seen your work, or hired you in the past. Reach out to various organizations and art appreciation societies. You may even consider offering services for artist management or art buyer consulting.